Online registration is closed, please arrive 10 minutes early to register or call 713-681-8433 for details. Thank you! What’s the best way to help local spring migrants? By sipping mimosas at the Arboretum! Eat your way along the flyway, sampling brunch bites from different countries along bird migration routes. 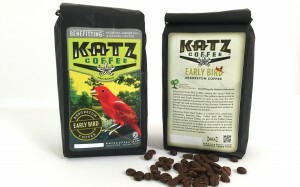 You’ll also enjoy mimosas and bird-friendly Katz Coffee. While you eat you’ll hear the stories of four spring migrants and their incredible yearly journeys. You’ll even get the chance to win fun bird-themed raffle prizes. And the best part? You’ll be supporting habitat conservation here at the Arboretum.